Am I right in thinking that mothers are more often the subject of novels and memoirs than fathers? Or, is it just that I’m a woman and am subconsciously (or even consciously, if I’m honest) drawn to the topic? Of course, with the Shadow Man Asian Literary Prize reviewing project I didn’t really have a choice. Kyung-Sook Shin’s Please look after mom (or, mother in the British edition) has now been shortlisted for the prize. So, here I am again, reading about a mother! And I liked it – for a number of reasons. But, before I explain that, a quick overview of the plot. The book commences with the line “It’s been one week since Mom went missing”. We learn pretty quickly that the mother and father had been in Seoul to visit some of their children and had become separated when trying to board the subway together, with the mother being left behind. The rest of the book chronicles the family’s search for the mother and, as they search, their reflections on her life and their relationship with her. So, what did I find fascinating? Firstly, of course, is the fact that it is set in South Korea. I haven’t been there, and I don’t think I’ve read any Korean literature before, so I was predisposed to be interested before I started it. I wasn’t disappointed. The novel is contemporary but spans a few decades, decades in which many of the current parental generation were still living fairly traditional rural lives while their children were being educated and moving to the city to chase “bigger” dreams. Through flashback reflections of the various characters we learn about this time of transition, and the challenges both generations faced in coping with the change. We learn of the mother’s determination that her children be educated, the lengths she went to to obtain the money to pay for this education, and her disappointment when one daughter trained to be a pharmacist but then married and had three children in pretty quick succession. It’s a story that’s been repeated around the world over the last century or two, and the usual universals are there – the economic challenges and all those big and little conflicts that attend social change – but each situation has its particularity. In this book it’s in how this specific family functions – the mother’s determination springing from her own lack of education, the self-centred father’s unreliability resulting in increased poverty for the family, the sibling relationships characterised by a mix of mutual responsibility, love and exasperation. “Epilogue: Rosewood rosary”, told by Chi-hon (again), in second person. As is common in multiple point-of-view novels, the main narrative, the story of the search, progresses more or less chronologically through these parts, with each part also incorporating some back-and-forth flashbacks in which we learn about that person’s relationship with “mom”. This multiple point-of-view technique provides a lovely immediacy to the different perspectives. The choice of different voices – first, second and third – though, is an intriguing one. Here is how I see it. First person for “mom” makes sense since she is the subject. Second person feels like a half-way house between the intimate first person and the more distant third person. Using it for Chi-hon and her father, to speak about themselves, subtly conveys a tension between their responsibility for “mom” (which would be expected of their roles as elder daughter and husband) and their regret and guilt for their failings. Third person, on the other hand, seems appropriate for Hyong-chol who, as the oldest in the family, carries the major weight of familial responsibility into the future. It’s the most distant voice and gives, I think, a layer of gravitas to his role. And last is the theme – or, should I say, themes? The lesser, if I can call them that, themes include the country-vs-city one, particularly in relation to values; literacy and education; and our mutual responsibility for others (something, the family discovers,”mom” took seriously for friends and strangers as well as her family throughout her life). The overriding theme, though, is that of guilt and regret, of having taken “mom” for granted. They all assumed she liked cooking and being in the kitchen, day in day out. The children forgot to call her regularly and didn’t always come home for special occasions. Her husband remembers all the times he failed to help her, while she would put herself out repeatedly for him. It’s a pretty common story but the way Kyung-sook Shin tells it – the form, the reflective tone, the characterisation, the setting – makes this universal story about, really, respect a very personal one. I admit to being a little choked up at the end! I have one little query though, and that relates to the invocation of Catholicism in the end. “Mom” does, early in the novel, ask about a rosewood rosary, thus providing a link to the the Epilogue, but where did this interest in the rosary come from, given the frequent references to the more traditional ancestral rites during the book? Mom doesn’t explain it – “I just want prayer rosary beads from that country”, “the smallest country in the world”, she says. I assume it has something to do with the recent growth of Catholicism in South Korea. It didn’t spoil the book for me, but it provided a somewhat odd note. All I can say is read the book for yourself, and see what you think. 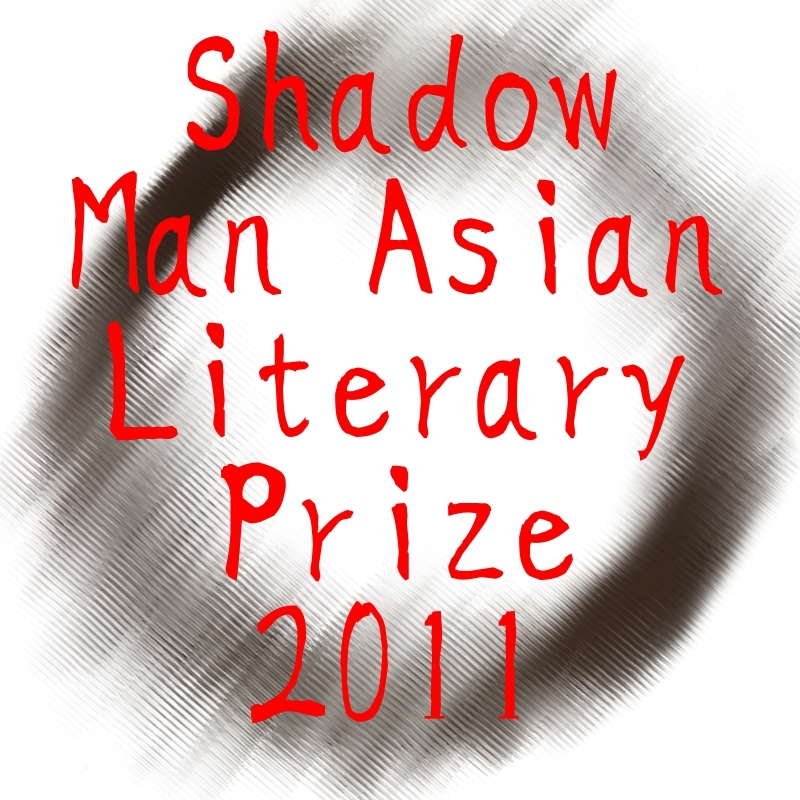 Please click on my Man Asian Literary Prize page link for reviews by other members of the team. Yikes, you like it! This will make for interesting behind-the-scenes discussions on the Shadow Jury LOL! Sorry Lisa … yes, I did … more than The folded earth in fact!! It’s what makes reading fun, eh? I’m still sulking about theThe Good Muslim and The Folded Earth not getting on the shortlist – but am consoled by the fact that they’re such good books they’ll generate their own momentum anyway. My copy of Rebirth still hasn’t arrived. I collected 6 new books from the PO Box yesterday but Rebirth wasn’t among them. Oh, dear … I was hoping to read that copy if it got to you in time for you and Matt and me to read it. Should probably go to Matt next – if you ever get it! – as I still have others to read. Yes! I’m glad you liked it, Sue. This bodes well for deliberations. I have a copy of Rebirth on the way from India – I have shipping confirmation, so it should be there soon. Teehee, love the admission of being consciously drawn to stories by and about women/mothers! The only ones abotu daughters and fathers that I can think of at this exact moment are the Alice Pung one and Seven Little Australians, but the latter hardly counts! Oh, I think it counts in a way. There are some father and son books of course (novels and memoirs) – The road, A fraction of the whole, Romulus my father – not to mention William McInnes’s A man’s gotta have a hobby. Hmm … perhaps I spoke too soon! Hi Matt, yes, it is going to be interesting. Hopefully you and Lisa will get your copies soon … this one has really been a trial to get. I should have ordered it when I saw in back in October but I just couldn’t face the $17 shipping fee, particularly from an untried source. Back then I was hoping other sources would appear, given the longlisting, but it wasn’t to be. I have ordered Ding Village and hope it will get here soon-ish, and have put in library requests for a couple but I might do a eBook yet if it starts to get tricky. I remember reading about this book here a while back and thinking the structure and the idea of an absent central character sounded very appealing. I would love to read this one. Also because I am a (mostly) overlooked mother! I think, being a writer, you’d be fascinated to read this and think about what she’s done and why. I’d love to know whether you agreed with my understanding of the choice of person/voice. And it does also, I think, give a great insight into Korean culture at a time of change. Thanks Mark … the whole second person is fascinating. You could be right, though it didn’t really come across that way to me … it felt more to me almost the opposite, as if they were talking to themselves as in “look what you (as in I) did now”, which in a way strengthens our emotional response (as we see them thinking through all their actions/behaviours) and universalises it in that way. Maybe that’s what you are saying? It’s quite hard to pin down, but I didn’t find it disconcerting to read. did you? Yes, I see what you’re saying. I think your conclusion works too. Either way, I think we both found that use of second person inveigles the reader into the whole dilemma a lot more. I didn’t find it disconcerting, but I did find myself relating it to personal episodes, and I thought its ability to do that was its major strength. I agree … it was her intriguing form that enabled her to convey her truths in a new way and therefore reach us. After all how many truths are there? It’s the ability to make them fresh – to bring these truths before us and make them important – that makes the difference. I think it’s why I love to look at form and structure … plots don’t vary a lot really (despite twists that can still surprise us), themes are, in the end, rather finite, but form, structure and language, playing with these is what writers can do to open our eyes. Clumsily written but you know what I mean, I know. The structure with all the various points of view and voices sounds interesting. I really enjoyed how you formated your post in talking about the different aspects of the book. It sounds like the kind of book I would enjoy – it reminded me of “Letters from Thailand”, a book by a Thai author written in epistolary form which describes the experience of a Chinese immigrant trying to build a future for himself in Thailand. The book was based on the author’s own parents which were Chinese. Sounds intriguing Delia … is it a novel? Anyhow, it does sound as though you would enjoy Please look after mom. Yes, a novel. It was written in 1969 but translated into English in 2002. It sure will, Stu. I agree that the description of the culture was a major part of the interest for me too – in addition to the form and style. I hear from people who’ve been there that it’s pretty accurate such as the story of the the mother cooking traditional rural food and bringing it to the young in the city who don’t appreciate it. “Kyung-Sook Shin” in the original Korean is actually an anagram of “Evelyn Waugh.” Little-known fact. Ah, good one DKS! I should have guessed!